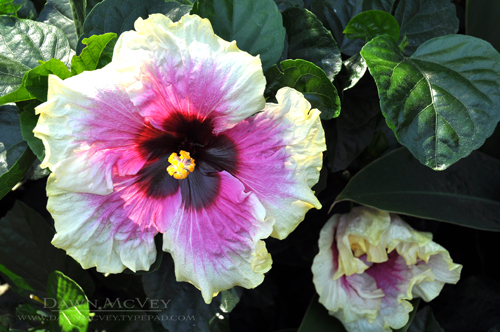 I fell head over heels in love with this hibiscus so we did some research to find out exactly what variety it is!! It's blooms are MASSIVE (like 10-12"!) and the colors just spectacular! I hope to have one of these in a pot one day....we can have it outside in the summer and bring it in, in the winter months. One of the really cool things about the San Diego Zoo is the fact that it is also a botanical gardens and a lot of these species of plants they grow all around the zoo for beauty, also serve double duty as food for various animals! Love that!